Bitesize: Rounding Up November 2017, The December Colours, And A Ton Of Information! 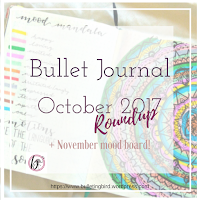 Today, we're rounding up November 2017, not just in my bullet journal, but also across all the awesome stuff that's happened throughout November. This one's a bitesize post, so it's pure, no-fluff, 100% content. Let's jump right in! Wow, it feels totally strange to not write a Productivity post! Hey there, my lovely readers! Thank you so much for tuning in today, because this one's jam packed with some serious content. 1. Creoly UK's awesome discount code for the Th[ink] Dotted Hardbound Notebook! If you've kept an eye on my Instagram page recently, or you've been on my newsletter list for about a week, you'll know all about Creoly already! A few months ago, Creoly, a UK-based stationery brand, were so very kind as to send me their Th[ink] Dotted Hardbound Notebook for an Amazon review. As someone whose only experience with dot-grid was Leuchtturm and Moleskine, I was completely blown away by the amazing quality of this notebook, to a point where I know this is going to be the one I start my 2018 Bullet Journal in! The book has 240 pages (120 leaves, front and back), which are a bright white, with no trace of a cream or beige appearance – this means that coloured pen stand out so much brighter than a duller page (which is common in a lot of similar notebooks). The expandable pocket at the back can hold a lot, as it is truly very expandable. The dimensions of the page are very slightly smaller than a standard A5 – the width is 13.0 cm as compared to the standard 14.8 cm of an A5 piece of paper. The dot grid is printed in a subtle yet visible grey, with the dots exactly 0.5 cm apart. 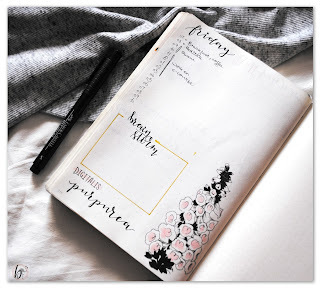 The notebook is thread-bound and definitely opens flat, which is a huge plus point when it comes to more artistic journaling and photography; however, the spine does need some breaking into, which is common procedure for most new notebooks. The 70 gsm paper appears translucent, but surprisingly, shows very little feathering of ink. Because I love the Th[ink] Notebook so much, I reached out to Creoly and got us all an amazing discount code! No, this is not an affiliate code, I make no money off your purchase, I just genuinely want you guys to give it a go. On the Creoly website, simply add the Th[ink] Dotted Hardbound Notebook to your cart and use the code DOT20 (dot-twenty) at checkout for a flat 20% off the Th[ink] Dotted Hardbound Notebook! Seriously, you won't find a better deal anywhere. Click here to check out the Th[ink] Dotted Hardbound Notebook! 2. 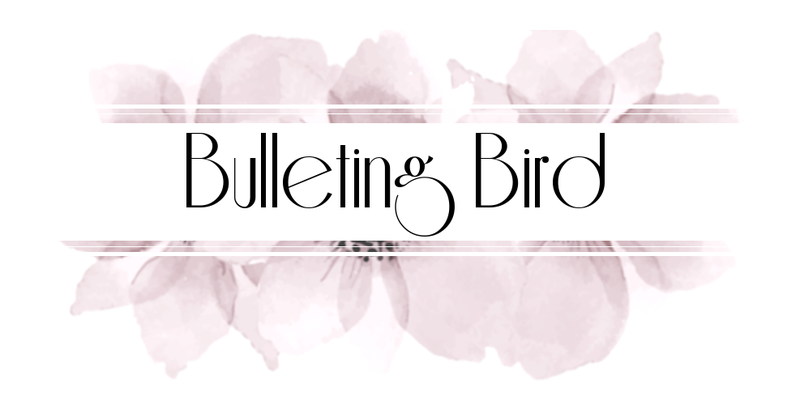 The Bulleting Bird Store is now officially open for business! That's right, folks, we've now got a bunch of awesome resources and printables (including the November Printables) up for grabs in the Store! I only soft-launched it a few weeks ago, because I wasn't too sure of the format and platform I wanted to use, but I'm absolutely in love with how it's looking at the moment. Everything on there is well under $5 right now, so go get your hands all over some awesome downloadables! Click the banner below to visit the Bulleting Bird Store! 3. Last chance to sign up for the December newsletter + an amazing festive freebie! This month, I'm giving away an awesome festive goodie and also the design element for December! Plus, my newsletter subscribers get the first look at December's designs, and every new subscriber still gets the awesome essential toolkit for creative bosses. The newsletter goes out on Friday, the 1st of December, so sign up NOW at the form below and don't miss out! 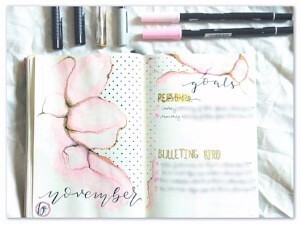 Alrighty, let's quickly run through November in my Bullet Journal. 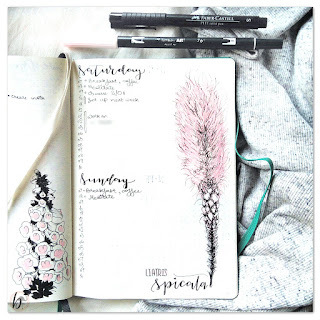 This month in my journal felt absolutely perfect, and I think I've finally found a combination of spreads that really work for me! Frankly, there isn't a single format that I hated this month, so let's run through all the awesomeness! 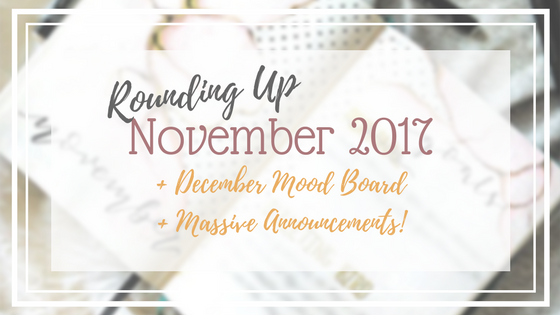 This month, my colour palette was Blush, Grey and Gold (as was revealed in my October Roundup Post). I absolutely loved this combination, and it just felt right for November. I created abstract wave-like shapes with all of the theme colours, and offset the randomness of these with structured black polka dots. 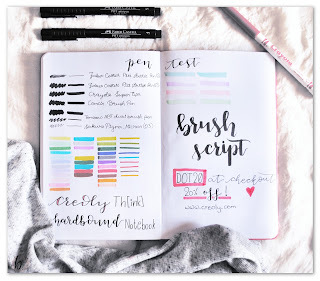 What was incredible to me was the fact that some of my Instagram friends loved this theme so much, they adapted it to their own journals! My mind is absolutely blown! Thank you so much for falling in love with this theme as much as I did, I'm absolutely speechless! 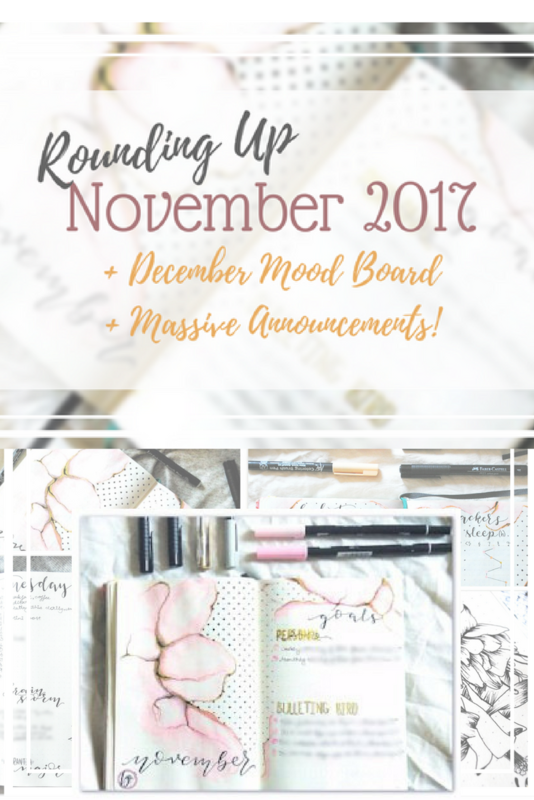 As I mentioned in the October Roundup, last month's log felt like a bit of a mess, so in November, I decided to separate out my personal and work agenda from my Instagram and Blog content calendar. This worked a whole lot better, though it looked rather crowded. I'm giving up on efficiency, y'all. 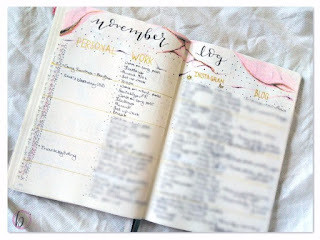 For December, swallowing my pride and making two separate logs for my monthly tasks and my content calendar. It hurts so much, but it is a harsh truth - the A5 page can only hold so much! As with last month, my November tracker was a two-page vertical spread, with tiny icons at the top of the table to denote any habits and medication I needed to track. Plus, the mood and sleep trackers were separate from the habit trackers, and I condensed my exercise tracker to a simple yes/no column with a time log. This worked really well for me, and is the format I'm keeping for December, too. I must admit, I was a little on the fence about using theme colours for the mandala, because it looked too monotonous initially. However, I quickly fell in love with how it ended up looking after about the 10th of November! No harm, no foul! My November weeklies were nothing too special, though I did make it a point to integrate the month's theme into each weekly spread. 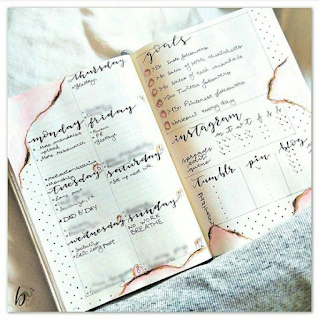 I also included trackers for my Instagram and Blog content, as well as to keep other social media active, which worked rather well for me. I might not use these weekly trackers for December, as I'm hoping the monthly content calendars might be neat enough to use them as trackers, but we shall see how that goes! 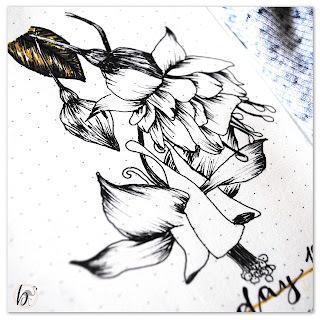 Listen, I will forever be grateful to KirbyCat (@kirbycat.bujo) for introducing me to the Florals Your Way Challenge. Seriously, I've learned so much about flowers this month, and have discovered a green thumb and an unexpected love for gardening, all because of this amazing Instagram challenge! The above image of the trailing fuschia is available as a printable in the shop! 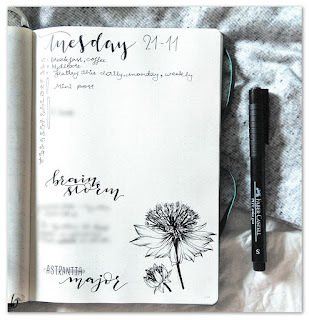 I integrated each of the challenge prompts into my daily pages, and frankly, they've never looked better! Seriously, you should totally take this challenge at some point, it is incredibly fun! Also, it is the reason I've managed to resurrect all seven of our house plants, so thank you, Florals Your Way! If you haven't heard already (despite my constant shouting about this...) I'M DOING BLOGMAS THIS YEAR! That's right, in the twelve days leading up to Christmas, I will be blogging every. single. day. I'll be revealing more details about this in my December newsletter, so if you haven't yet (again, despite my shouting about this earlier on...) sign up to my newsletter using the form below! Do it! NOW! 2. A Super Special Launch!!! This December, I will finally launch the super secret project I've been working on, day and night, for the last couple of months! This is going to be a big one, and the launch will start with a massive Giveaway, so (again) SIGN UP FOR THE NEWSLETTER AND BE THE FIRST TO KNOW! I'm absolutely bouncing off the walls with excitement for this, and oh my gosh I can not wait to reveal all! Finally, finally it's time to reveal the colours for December. That's right, for once we're going all out with the festivities! If you haven't guessed already, I absolutely love the Holiday season, and though Christmas isn't a huge deal here in India, I fell head over heels for all the celebration and joy that comes with it while I was at University! Whew! That was a LOT of information for a "bitesize" post. Use DOT20 at Checkout for 20% off the Creoly Th[ink] Dotted Hardbound Notebook. The Bulleting Bird Store is now absolutely, completely alive, go check it out! 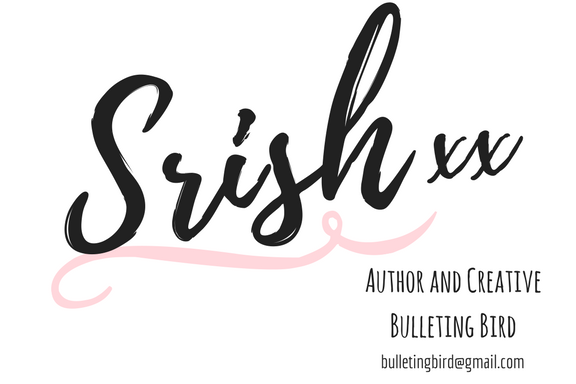 Sign up to my newsletter for super festive freebies and early bird news about my massive upcoming launch, + a first look at my December spreads + details about BLOGMAS!!! The December colours are Emerald, Beige and Silver! Love this post? Share it with a friend! 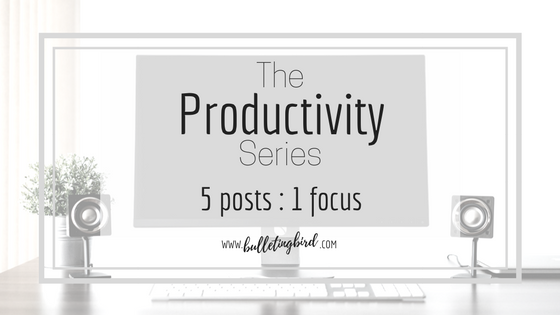 If you haven't already, go read the Productivity Series, and grab all the awesome freebies to help keep your days in that sweet, sweet spot of accomplishment! I'm so very excited to share all the amazing stuff that is coming out this December, and I can't wait to see you guys again very soon! As always, I'm always open to comments, questions and requests in the comments section below, or on Instagram and Twitter, or via e-mail, so drop me a line! Thank you so much for reading, and I hope your November has been as amazing for you as it was for me. For the final post in the Productivity mini-series, I want to share the one method for setting goals that will help you absolutely smash it every time! I call this method 'The Goal Funnel', and it might take a second to wrap your head around this method, but I promise you, this is the only way to make sure you hit every target well before schedule! 5. The Goal Funnel - How to set and smash goals every single day. Of course I want to give you all of the series freebies first, so if you haven't yet, fill out the form below and grab them all! Done that? Excellent! Let's jump right into the post! Through this series so far, I've emphasized the need to set specific, quantitative goals. When we set vague goals, such as, "I'm going to be wealthy this month," or, "I'm going to be healthy and skinny," it's honestly just a waste of time and effort. You see, our minds have been conditioned to think in terms of relativity. So when you say you're going to be "wealthy", your mind says, "Well, look at all the people with no homes. I'm already wealthy!" And it's true; simply being able to read this post means you have electricity, an internet connection, and a desktop or hand-held device - clearly, you're a lot wealthier than a portion of the world's population! However, you're likely aiming for much more - a private jet, for instance (yup, I'm totally aiming for that too) - and your mind needs to know that! If you don't give your subconscious a standard to measure your success by, it won't even know what it's working towards! Thus, the first step is simple - set a quantitative goal, so that you will undoubtedly know when you achieve it. Speaking of when, another very important feature of effective goal-setting is a time constraint. If you aim to own a private jet one day (yup, we're still talking about that), but you don't really know when that "one day" is, there is no sense of urgency! Compared to this undated goal which you're hoping to achieve at some point in the future, there are a million other things that your mind considers way more urgent, and it will put those things first. Result? Your big dream will forever be just that - a dream. So step two - set a "finish by" date for your quantitative goal! The next part is easy, we did it as children all the time. Take your goal and make it double! What ever your goal is, aim way higher for the same time period! You'll automatically put in twice as much effort, meaning that not only will you achieve your original goal in way lesser time, you'll fly right past it and do things you never knew you were capable of doing. Sounds good, eh? Now that we've got our goals laid out in plain quantities, let's talk about fitting them into our lives. This is something I like to do at the start of every year, but it can be done at any point! 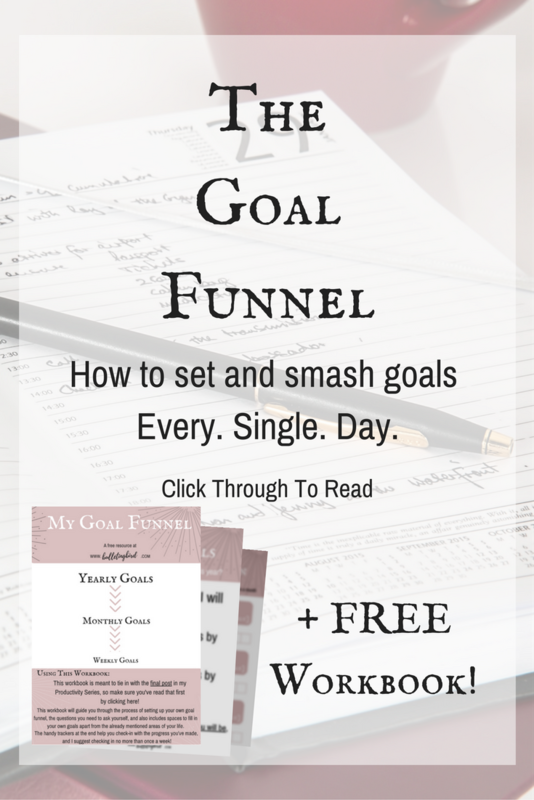 Here's the three-layered goal funnel that will honestly help you smash all of your goals! Who do I want to be at the end of the year? That doesn't just mean financially, or professionally, you need to decide who you want to be mentally, physically, emotionally, and spiritually. How do you want to react to any situation by the end of the year? How would you like to handle stress and losses, but also wins? By setting a target mindset rather than a target number for your year, you'll internally begin to become the person you need to be, in order to achieve your external goals. Let's work with that private jet example, to understand this point better. At the start of the year, I don't decide that I want a private jet within a year. Instead, I think of who I would be if I did have a private jet a year from now. First and foremost, I would only buy a private jet if I planned to travel long distances at a short notice, which means, I would be an active, confident explorer. Right away, this challenges my current obsession with security and stability, so that would be one obstacle I'd need to work through - I already have my first action step! Deciding who you want to be at the end of your year will show you all the internal growing you need to do in order to get there. What do I want to see at the end of this month? This could be a sales target being achieved, a project reaching completion, your students all getting As - this is the result you want. Don't worry about how you'll get to your monthly goal just yet, simply think this: which part of aspect of your year's personal goal will this month complete? How much of that private jet money would you need in your savings this month? Personally, I like to set three or four goals each month, since it makes each goal a lot simpler than having one large complex goal, and it also gets me twice or thrice as closer to achieving my yearly goal. You can totally set as many goals as you want or need, but I strongly recommend no more than five or six, because then you'll just be spreading yourself too thin! I also set some target dates for these, and guess what! I've already smashed two of these well before time, and way above target! While setting these goals, I didn't let myself get caught up in the nitty-gritty details of how I'd achieve them, but rather decided on the end result that I wanted from this month. What do I need to do to achieve my monthly goal? Think about all the action steps that need to (and can) be taken through this week, that will inch you closer to your monthly goal. This is the usual method of goal-setting that we've all been using, but there are a couple of reasons why I like to keep this at the bottom of the funnel. Because we have our yearly personal growth goal in place before we think of anything else, our brain gets the clear message that every action we take through the next year must be a step towards who we want to be. This shift in our mindset then allows us to explore options we normally would. You'll constantly find yourself asking the question, "What would future me do in this situation?" Once you put yourself in the shoes of future you, it's a lot easier to see the world through those lenses, giving you a clear picture of what you need to surround yourself with in order to get there. Cue the monthly goals! Then - and only then - can we begin to think about what needs to be done to take us from where we are to where we want to be! Trying to decide on action steps before even having a clear picture of who we want to become is like trying to make a sandwich by blindly reaching into the refrigerator and just praying that it will be edible - you'll probably just end up with a mess! Now that we have our goal funnel in place, the next step is to focus simply on the weekly goals. Learn to trust that the system works, and that you don't always need to worry about checking in with your goals every single day! 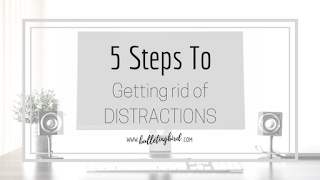 Not only will this free up your mind to actually work on your action steps, it also keeps you from obsessing over every tiny detail that you may have missed. Always remember, your target is set way higher than you need - yes, you can relax and focus on enjoying the process of getting there! However, once you've got your action steps in place, I want you to forget all about the whole target-higher-than-you-need business. Simply throw yourself into the daily grind and cross your weekly goals one step at a time. Before you know it, you'll be a whole different person with a massive amount of growth to show for it! Again, I highly recommend reading this post over at least one more time, because the concept of The Goal Funnel can take a few tries to completely understand - but once you do, you'll totally get it! 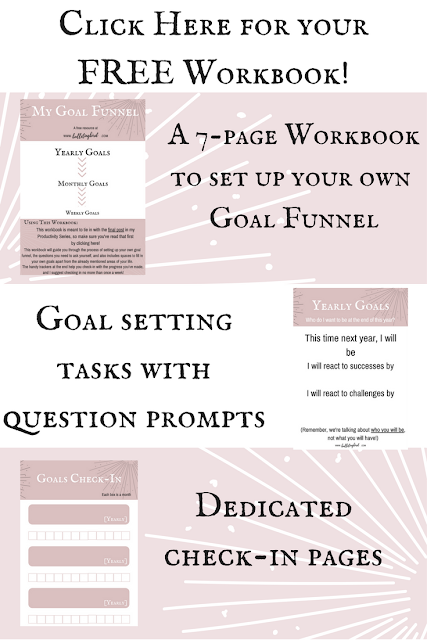 To make your life easier, here's a super easy little workbook to help you create your very own goal funnel! 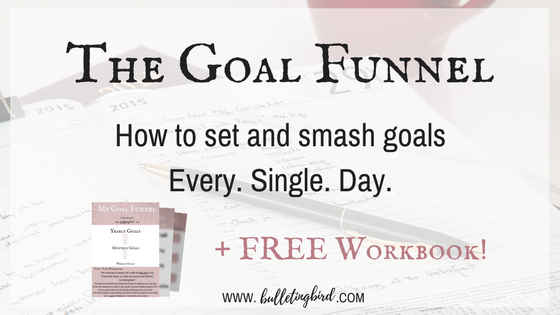 It will guide you through all the necessary steps for setting your yearly, monthly and weekly goals, and it's totally FREE! Cick the banner below to grab this workbook - no signup needed! 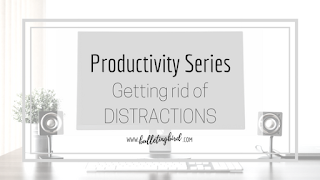 Again, if you've already grabbed a freebie from this series, you have access to the Productivity Freebies folder, and this freebie has just been added to it - there should be an e-mail in your inbox already! If not, the form below will give you instant access to all the freebies in this series! And there we have it! Our very first series of blog posts! Thank you so much for sticking with these posts! This was totally new to me, and I really want to know what you think of it, so please could you take just a second to fill the poll below? 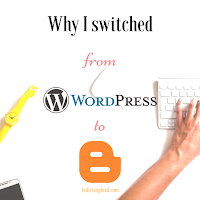 Do you like the idea of blog post series? Alrighty, you guys, that's it from me, it feels good to have completed a personal project like this, thank you so much for letting me play! Again, remember to grab today's freebie if you haven't already - you don't need to sign up, just click the banner below! 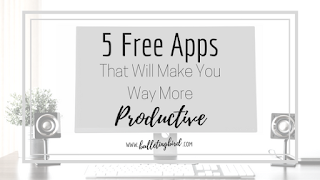 If you do love this one, however, I strongly recommend signing up to the Productivity list and gaining access to all the other freebies from this series in one place! Fill out any of the forms in this post and you should have your access link immediately. 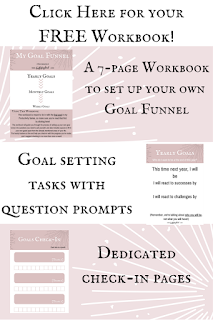 And as always, thank you so much for taking the time out to read my ramblings, I do hope this concept of The Goal Funnel is as helpful to you as it is to me. If you did find it helpful, please take a moment to share this post with anyone who might benefit from it! If you have questions or comments, please feel free to leave them in the comment section below, or get in touch with me via Instagram, Twitter and E-Mail ; I love hearing from you guys! I'm always open to requests, so feel free to fling those my way too. I hope you have a brilliant weekend ahead, and I'll see you guys next week! 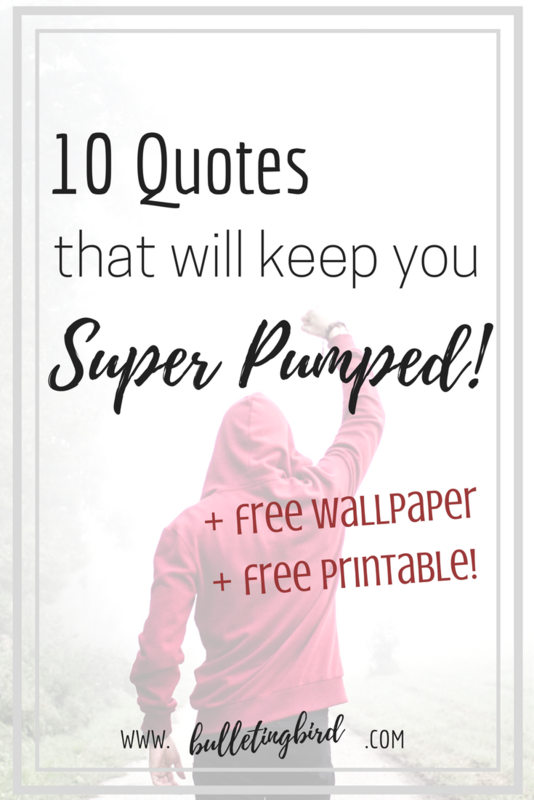 PRODUCTIVITY SERIES: 4: 10 Quotes That Will Keep You Super Pumped! We're nearing the end of this mini series, and I have to say, this is the most fun I've had working on a complete project! The response I've got from you guys about this series is so motivating, and has made all of this so worthwhile, so thank you so very much for that! Because the last post in this series was super wordy, I'm going to keep the talking to a minimum today, while also sharing some of my favourite Instagram accounts. So this is inspo of every kind wrapped into one! GRAB THIS QUOTE AS A PRINTABLE AND WALLPAPER + all other freebies in the Productivity series! Psst! Have you read her awesome guest post? Go read it now! Just a little #inspirationalquotes for you on this beautiful Thursday from my @scribblesthatmatter bullet journal! UPDATE: As it turns out, this was a repost from a different, unknown source, so apologies for the wrong attribution! I'm happy to take this picture down if the original poster would prefer that! 10. 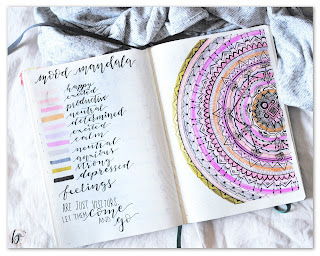 And finally, a self care reminder from my journal again! See? I wasn't joking when I said the talking would be minimal. These pictures speak volumes for themselves, and you should totally note down these awesome quotes! Plus, here's a FREE printable quote that you can set as your desktop background, or even print out to hang on a wall! Simply enter your details below and grab yours now! 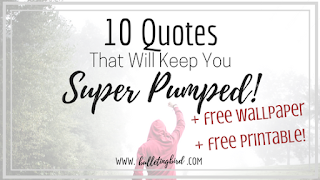 If you've grabbed a freebie from any previous post in this series, you have access to the Productivity freebie folder already, and these files are on there, so don't worry about refilling this form! If you love this series and its freebies, please share this post with your friends, and we can all be super productive together! Thank you so much for reading, and do make sure to check out all the amazing Instagram accounts I've linked above, these people are so talented!!! Feel free to get in touch with me via Instagram, Twitter or E-Mail for any questions, requests, suggestions, or just a general chat! I'll see you guys later this week with the final post in this series, so stay tuned for that! Until then, stay productive, and keep that chin up. You got this. Part 3 of the Productivity Series is another long post, and this one is something I need to read myself from time to time. 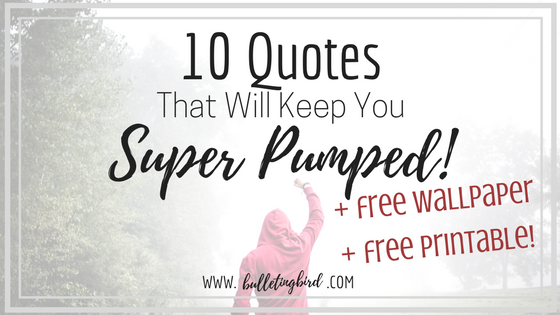 4: 10 Quotes That Will Keep You Super Pumped! On those days, it is very easy to lose sight of why you're even here and what you're meant to be doing, which can lead to a destructive downward spiral of boredom and feeling lost. I promise you there's sunshine on these cloudy days, if you only know where to look! Plus, I've put all the tips AND 5 EXTRAS on a cool checklist for you, so grab yours now! Done that? Awesome! Let's get into the post! 1. Make a list of the reasons why you started. Remember that giddy feeling when you first started working on your current project? Or that amazing high when you got your job offer or your place on that degree program? How about those butterflies in your stomach when you hit send on the online application form for this work placement? Make a list of reasons that motivated you to get started doing what you're doing in the first place. Write in bold letters and stick it by your screen, or give it a valued spot in your sacred workspace. This will help you remember why you started, what moved you enough to take assertive action, and will help shift your focus from the millions of tiny, irritating details and menial tasks, to the awesome, fulfilling end goal! Now don't click away just yet, I'm not asking you to spend hours reading The Secret! All a vision board does is give you a visual reminder of your end goal. As we discussed in Part 1 of this series, most of the information your brain processes has something to do with visual input. The vision board concept takes advantage of this fact and helps you quite literally keep your eyes on the prize! And it doesn't have to be a literal board on your wall with carefully printed and arranged pictures that will take hours to find and assemble. My first attempt at a proper vision board was a two page spread in my journal, where I printed off a bunch of inspiring pictures off Tumblr, but I almost never consciously flip back to look at it. However, it is a prominent bulge of photo paper in a notebook I use every day, so there are times when I open to the vision board spread without meaning to, or feel the texture of the heavier paper through the pages I'm working on, and I'm instantly reminded of all the awesome pictures on the spread and all the pictures of what success looks like to me. 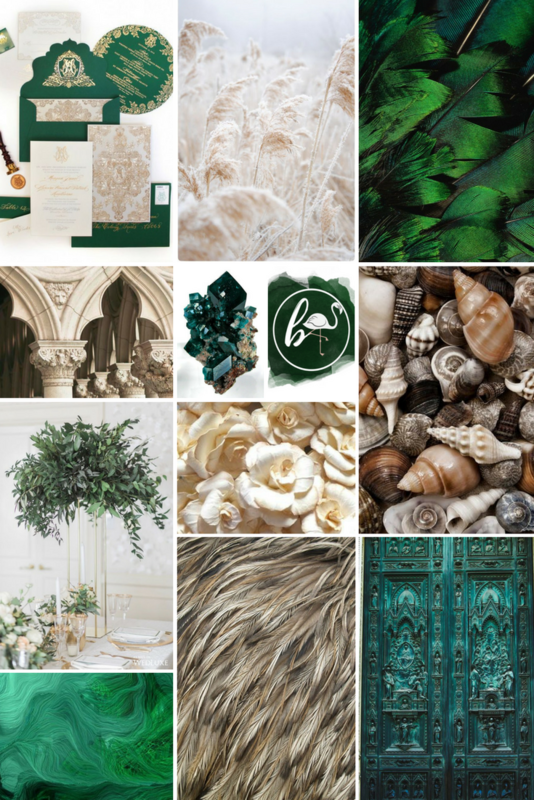 More recently, I've stuck my visual goals on to a Pinterest board! This is a super quick and easy idea, and I find myself constantly updating my vision board if I have a moment to spare. I scroll through this Pinterest board every morning before I start working, and every night before I drift off to sleep. These couple of minutes go a long way in keeping me focused on what I'm working towards, and give me an incentive for all the lonely hours spent typing till my wrists hurt! 3. Find a schedule that works for you. Here's an often overlooked fact: there is no one universal schedule that works for everyone. There is no right (or wrong) way to lay out your days or week. Scary, huh? Yes, it can be intimidating, having to create your work schedule all by yourself. If you're your own boss like I am, this is twice as hard, because there is no structured nine-to-five to get you started. And even if you do work regular hours, a lot of this time is unstructured, leaving it up to you to fill in the gaps between meetings and presentations in a way that helps you get the most out of your work-day. However, I like to see this as a much-needed freedom of choice! Even back at Uni, I loved having self-guided study time, especially those few weeks before exams began. Being able to set your day up allows you to allocate your time and energy in a controlled way, which to me is the best way to work. Here's a quick summary of how I go about creating my perfect schedule. I fist begin by blocking off chores that need to get done every day, such as laundry, cooking and eating (yes, breakfast and lunch count as chores for me), preparing meals for my pup, Summer, tending to the plants - you get the idea. Once these are scheduled, I split the rest of my day into blocks based on energy levels. I know I have the highest amount of energy in the mornings just after I wake up, so I use this time to do all my heavy thinking, content planning, and working on big projects (one example is Winstagram, the 5-day e-mail course). Then, in the couple of hours before lunch, I work on blog posts. After lunch is when my energy level drops, but funnily enough, this is when my creativity is at its peak, probably because I've got the heavy-duty work out of the way. I call this my "play time" - this is when I take pictures for my Instagram, work on my journal, and spend time updating and socializing on my social media. Personally, I work best in long blocks of time with fewer, hour-long breaks, which is totally contrary to the usual advice of "work in short sessions with many little breaks in between". Like I said before, there is no right or wrong schedule - there is only a right or wrong schedule for you. Take the time to analyse your days, and find what works for you. 4. Make your schedule bulletproof. No excuses, no concessions. Once you've decided on a schedule, set it in stone. "But Srish, what if something comes up?" Well, my friend, you need to take account of possible emergencies or last-minute changes when you're creating your schedule! This seems like an oxymoron, so let me explain. When I'm setting my week up, I always allocate more time to each task than I know I'll take. For instance, if I know I'll take two hours to write a short blog post, I'll schedule in three hours instead. In this way, I can always trust that I have a buffer in case I overrun, or if something comes up, and that it won't affect the rest of my day as much. So what do I mean when I say "bulletproof"? It means that I leave no gaps between tasks. If I do finish writing my blog post in two hours instead of three, I'll immediately move on to the next task. This ensures that no momentum is lost, and honestly, who doesn't love finishing a day's work early? Another very important thing to remember is this: do not give yourself permission to stray from the schedule. I'm not kidding. If you allow yourself five extra minutes of break time today, it'll be ten extra minutes tomorrow, and before you know it, your schedule will have fallen apart. In his world famous book, The Miracle Morning, Hal Elrod makes a very poignant point right at the beginning. He says that you should never snooze your alarm clock in the morning, no matter how tired you are. If you do, you're telling your subconscious that it's okay to walk all over your plans, and unknowingly, you'll end up procrastinating whole weeks away! My mum was the one who pointed this out to me - we're both egging each other on to read more self-help books - and it struck a chord with the both of us. Ya' pal Hal's right! Quite literally, you snooze, you lose! 5. Use a DIY Mantra. Oh please don't sit on the floor cross-legged chanting "Om" a thousand time if that's not your scene! A mantra is simply an umbrella term I use to describe short, punchy, motivating sentences and affirmations. Of course, if you do prefer an actual Sanskrit verse, go for it! For real though, this definitely works! How's this for an example: I had given up about halfway through the previous point on this post, dooming myself to another incomplete blog post because the procrastination set in. And then, I decided to take some of my own (and Beyonce's) advice, said/sang the mantra - it may have been the entire song - and here I am, typing again! It works! 6. There is no such thing as competition. Honestly, I could write a whole post about this. You know what? I will. How many times have you looked at the portfolio of someone with the same qualifications as you and thought, "Whoa! I could never be as good/lucky/talented as this person!" I bet your next thought was, "I should probably just give up. In a sea of people like this person, who's even going to look at my work?" There is no such thing as competition. There is only work and play. The whole idea of competition stems from a central mindset of scarcity - there aren't enough customers to buy work from him and me, no one can afford to subscribe to their service and mine...STOP. There are over 7.6 billion people on this planet. Are you really trying to convince yourself that all of the people who are into what you're creating will knowingly buy from someone else? Personally, I'm glad there are thousands of other people doing the same thing I'm doing, because it means that I can totally pick and choose whom I want to work with, without the guilt of turning a potential customer away - they'll find someone else to do their work much better than me! It's a win-win! When we stop looking at other creatives (or employees or business-people or students) as competition, and we stop approaching our work from a mindset of lack, we learn to be completely secure in our work. Seriously, try it. Go one day feeling nothing but gratitude for all the people you'd normally envy, and see how much of a difference it makes to your work! When we work fearless of how others are working, we stop wasting energy on useless jealousy and instead, put it towards more constructive things. You know how I said there is only work and play? Here's some more food for thought - There is no reason that work and play should be mutually exclusive! Yes, be sincere in your work, and yes, be 100% present at your desk, but please don't think this means you're not allowed to have fun! This is still my personal kryptonite, and I'm still working on lightening up with my work. If you work for in an unforgiving industry, for a formidable boss, it is only too easy to look at your work through the lens of high pressure and anxiety. While this is great to ensure you don't procrastinate too much, anxiety and fear are massive drains for your mental (and physical) energy! Contra-intuitively, being extremely work-oriented doesn't necessarily make you more productive. This study from the Journal of Applied Psychology seems to conclude that, in fact, a lot of workplace related anxiety harms productivity, based on our inter-personal relationships with colleagues and superiors. If you approach your work with a fear of failure, there is no reason to believe that you'd do better work than if you were to approach it with a love for success! When we look at work as play, not only does it reduce our anxieties and fears, thus making us way more productive by default, it also opens up new lines of thought and allows creativity to take charge for a bit, which is always a good idea! 8. Remember to schedule some play time! It doesn't necessarily have to involve colourful clay or jungle gyms (though both of these are great options! ), but play time is absolutely necessary to staying motivated. In fact, the older you get, the more you need play time! It could be something as subtle as reading a book for an hour each day, or squeezing in a good cardio session, or writing, knitting, or doodling! Anything that has nothing to do with work, works. Play allows the analytical parts of your brain to ruminate quietly in your subconscious, while your conscious mind is out running through the grass, chasing butterflies! However, make sure to stick to that schedule we talked about at length. Play time can not take over work time, because then we just end up doing nothing, and the whole purpose of play time is lost. Not only do we get far less done, we also waste this new play time worrying about all the work we should be doing! This, my friend, is procrastination at its finest. That's it, that's my new definition of procrastination: when play time takes over work, and you don't enjoy the benefits of either. 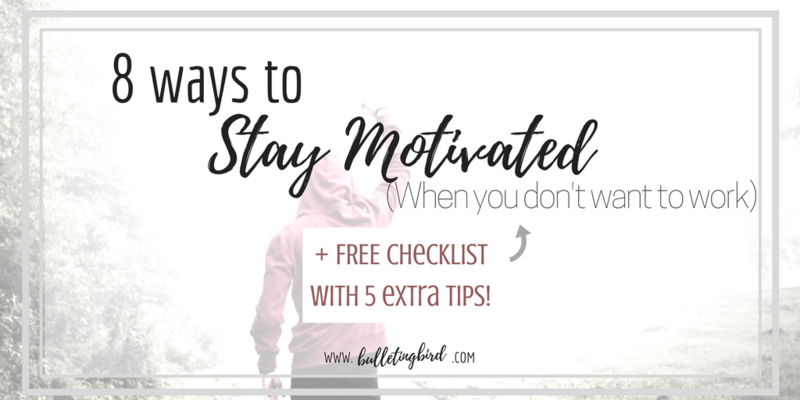 Remember, there are 5 EXTRA TIPS on my FREE CHECKLIST from this post, so grab yours now! 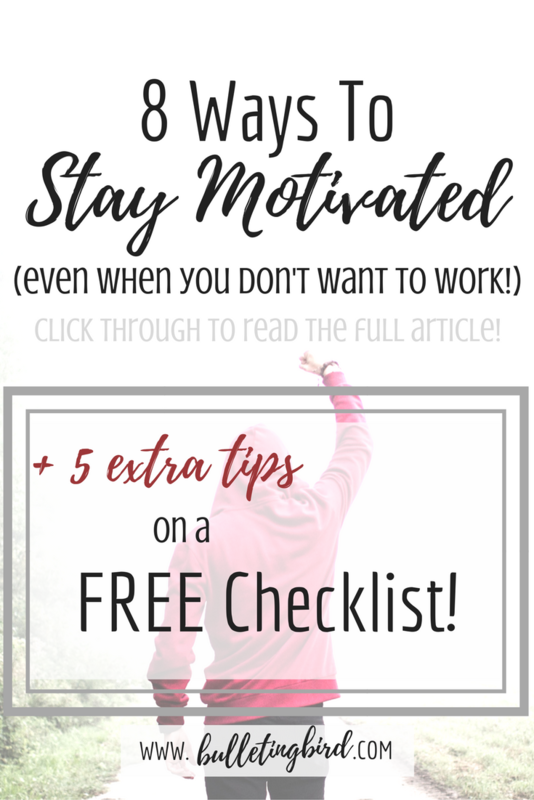 As always, thank you so much for reading this post, and I truly do hope these 8 (+5) tips help you find that giddy feeling of excitement at work again! Tell me what you think of these 8 tips in the comments below, on Instagram, or on Twitter! I love hearing from you guys! And remember, I totally believe in you and what you do, so keep going! You got this!